Miss Oktoberfest is a title that dates back to 1969, when the first young woman — Christine Orendi — was crowned and graced with the responsibility of representing the beloved Kitchener-Waterloo festival. Since then, the role has served as a cultural point of significance to Oktoberfest. Each woman to assume the position has served as a sweetly smiling figurehead, known primarily for her apple-cheeked presence atop her golden throne during the Oktoberfest parade. What many people don’t realize is that her obligations run over the course of an entire year and she is rife with numerous duties that she is expected to attend to at all times. Merely reading the expectations and responsibilities associated with the role is exhausting, to say the least. Miss Oktoberfest’s schedule is seemingly endless, with 225 (or more) appearances that she is anticipated to make throughout the year across Waterloo Region. According to the “What Kind of Commitment Does It Take?” section of the Miss Oktoberfest website, she makes 50 appearances over Thanksgiving weekend alone — with late nights and early mornings listed each day until Oktoberfest is finished. Without trying to sound overly critical, the whole process and extensive list of duties are very reminiscent of outdated pageantry norms. Does Oktoberfest really need this role just to stay in tune with a decades-long tradition? That’s difficult to say. She is placed on (almost) the same level of importance as Onkel Hans, the lederhosen wearing mascot known for photo-ops and leading school children in the chicken dance. Miss Oktoberfest’s time is demanded only slightly less than Hans’ and it is highlighted heavily throughout any information written about her that there is quite a lot of pressure placed on her in order to wear this crown and wear it well for a year. As much as I wouldn’t like to continue cherry picking problems with Miss Oktoberfest, it’s hard to overlook the fact that the competition has yet to feature any diversity either. While I believe that these women should be selected, if they must, because they were the best, most competent person for the position, it should be noted that in 50 years, there has yet to be a woman of colour wearing the crown. When a tradition that’s marketed as “Young Women, Our Future’s Finest” operates alongside an orange-headed mascot that overshadows those women simply by existing — you would think that more would be done to evolve the role in order to effectively showcase what these young women have to offer to their cities, rather than their ability to make appearances and be shuttled endlessly smiling to the next event. The application and selection process isn’t an easy task either — there’s a thorough form to fill out, a fee of $350 and sponsorship that is required in order to apply at all. The effort that it takes to even be considered for such a high-profile position is daunting. These women — all eager, worthwhile and dedicated, I’m sure — are sorted through and critiqued like show dogs. This year’s crowning took place on Friday at the fiftieth Miss Oktoberfest Gala, placing Sandra Dynka in the role for the 2018 Oktoberfest. Harping on the commonly perceived frivolity and apparent sexism associated with the entire practice is a tricky area to debate. I have never entered into a pageant or anything like it in my life, so I can’t truly determine if the entire process is worth it and reaps benefits beyond being profiled so heavily during Oktoberfest — or if it’s just a way to shove a pretty woman into the forefront of events and keep up a very contrived public image. I won’t diminish the hard work of these women either, as they certainly each have unique talents and ambitions that got them there in the first place. To brush off their goals or their intentions to apply for Miss Oktoberfest would be disingenuous, but it begs the question as to whether or not it’s needed at all, given the push for progressiveness our society has encouraged in recent years. There isn’t a concept remotely similar to this for men where they have to jump through dozens of hoops in order to wear a crown and grin at crowds for a year before it’s passed off to someone else. The pageantry aspect is reserved solely for women who can maintain a certain image and be perceived as the “ideal” representation of grace and femininity. Why isn’t the focus more heavily placed on the visions, accomplishments and potential of the women who assume this role, rather than an old-fashioned dog and pony show that’s losing its overall relevance? I can see the validity in those who consider it to be empowering, rather than sexist and reductive, but I believe the process needs to change more than it has since it began back in 1969. 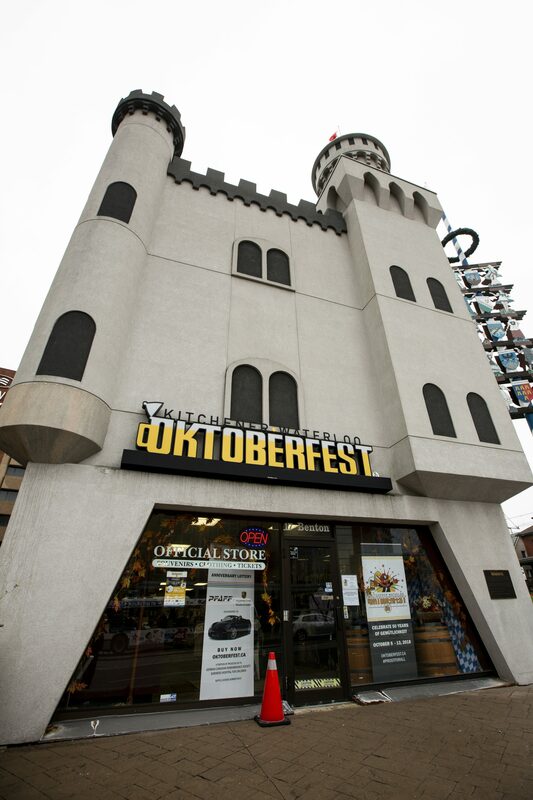 We live in a city that continues to innovate, grow and adapt to its ever changing population and needs, so Miss Oktoberfest should follow suit.